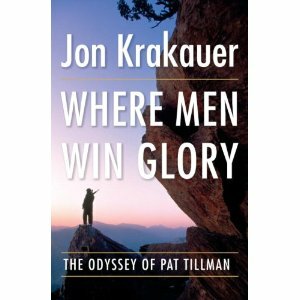 Usually averse to military sagas, and certainly not expecting to be captivated by Pat Tillman’s story, I nonetheless decided to give this book a chance. After all, Krakauer’s other books are full of remarkable storytelling and compelling characters. Where Men Win Glory exceeded all expectations – at the end you are left feeling infuriated by the military’s actions and media’s complicity, and as if you know the book’s characters personally. In the wake of 9/11, Pat Tillman, an American professional football player, gave up his multimillion-dollar contract and enlisted in the army. In 2004, he was killed in Afghanistan in friendly fire. The military enacted a cover-up that was approved – tacitly or otherwise – at the highest levels of the American government. Within a few weeks, the real truth emerged that Tillman had been killed by his own platoon. Krakauer dedicates only the last part of the book to detailing this drama, which was also covered extensively by the American media. Instead, he focuses on delving deep into the life and character of Pat Tillman. Relying on Tillman’s journals, extensive interviews with Tillman’s wife, and documents and testimony from military investigations, the author chronicles Tillman’s life from his childhood in California to NFL stardom to his untimely death. From the author’s vivid writing style, a portrayal of a complex, phenomenal man emerges. Tillman defies all stereotypes of a football player and army man – he is sensitive, insightful, and fiercely independent. Direct quotations from his journal reveal Tillman’s fear that the government would take advantage of his fame in order to bolster public support for the wartime agenda. And ultimately, when he died, this is exactly what happened, even though Tillman himself constantly questioned the administration’s actions. This book is not without criticism, however. The detailed play-by-plays of football games and battlefield scenarios seemed a bit tedious. This book could have been pared down without detracting from the story. Clearly, Krakauer wrote this book with a political agenda. Some of the criticism that the author levels at the Bush administration, such as the vote-counting fiasco in the 2000 elections, is largely irrelevant and detracts from Tillman’s story. No matter your political leanings, however, Krakauer convincingly shows the deception carried out by high-level government officials. In Where Men Win Glory, the author absorbs the reader by splicing vignettes of Tillman’s childhood with events in Afghanistan’s history. He crafts a seamless narrative that is both lucidly written and meticulously researched. Highly recommended.